Click Elections from the main menu. Change Active Election from Yes to No to archive the the election. Check all the elections you wish to Archive / Deactivate and click the Deactivate button. Inactive elections are stored under the Inactive Elections section. 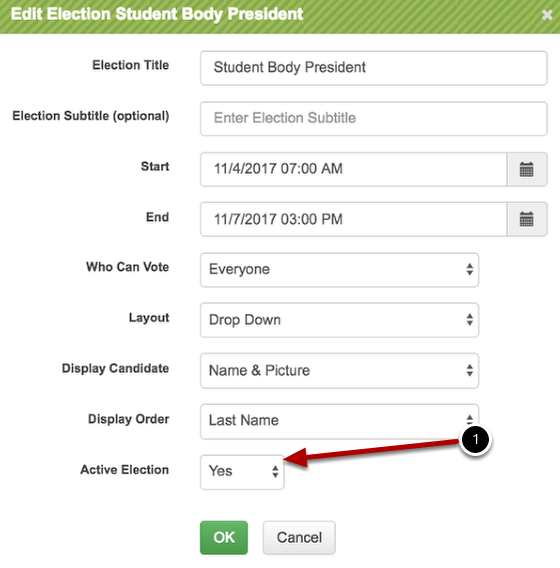 Elections with the status of Inactive will not show in reports, on the dashboard and students can not vote in them, even if the date range is valid. To view your inactive elections, click the View Inactive Elections button. Only elections that have no votes casted can be deleted. To delete an election, check the box and click Delete. You can only delete inactive elections.